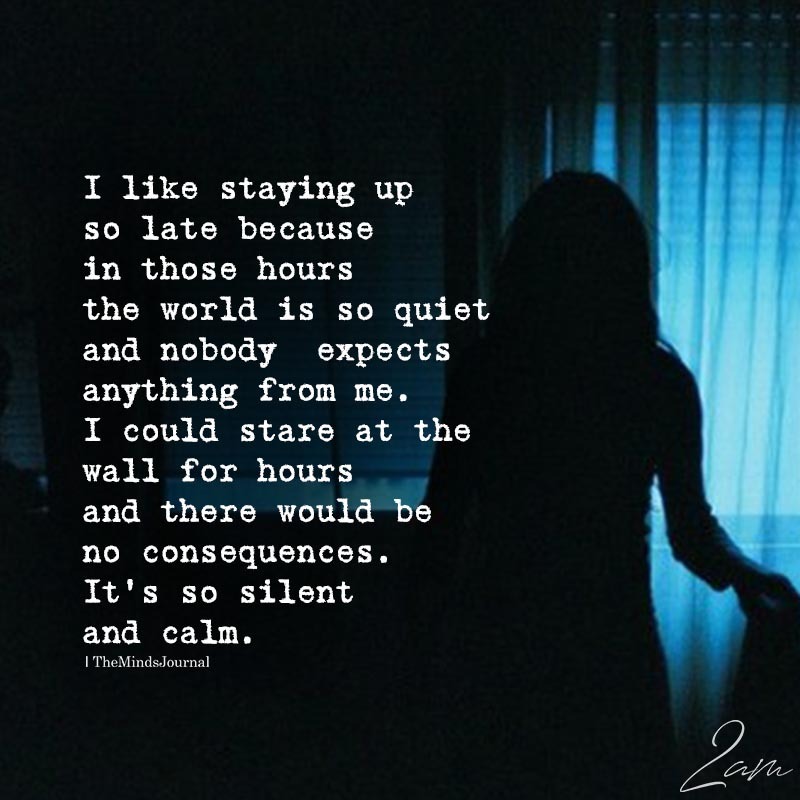 I like staying up so late because in those hours the world is so quiet and nobody expects anything from me. I could stare at my wall for hours and there would be no consequences. It’s so silent and calm.